Notice: Trying to get property of non-object in eval() (line 2 of /home/eatologist/thepoopers.com/sites/all/modules/views/plugins/views_plugin_argument_default_php.inc(53) : eval()'d code). 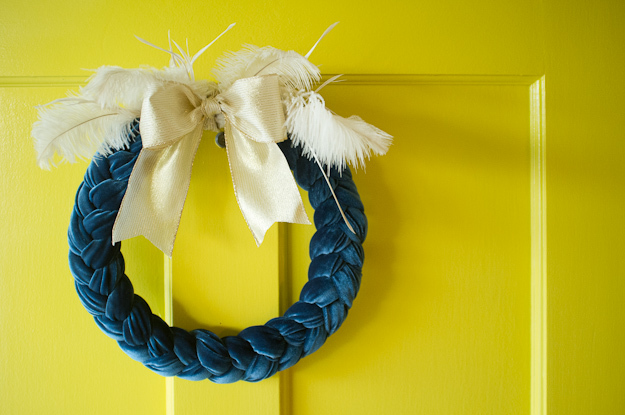 This simple, modern wreath takes little more than some scrap fabric, wire, and safety pins. You don't even need to sew a single stitch! It can also be disassembled to reuse the materials after. I'm so not done with playing with glass paint. There are still plenty of ways to use Martha Stewart's Glass Paints to enliven your dishes, without directly putting it in contact with food. The new Martha Stewart Glass Paint series are just chock full of fun.